We have been seriously slacking on the family fun time around my house. As my kids get older, it seems we spend less time doing things as a family. My teenager is working now, and the not-so-little guy is getting busier and busier with his own interests, and I haven’t been doing a very good job planning activities to get us all together. So, I decided to make it a priority to corral the family on an at least bi-weekly basis for some sort of activity. Do you remember playing Oregon Trail in computer class way back when? 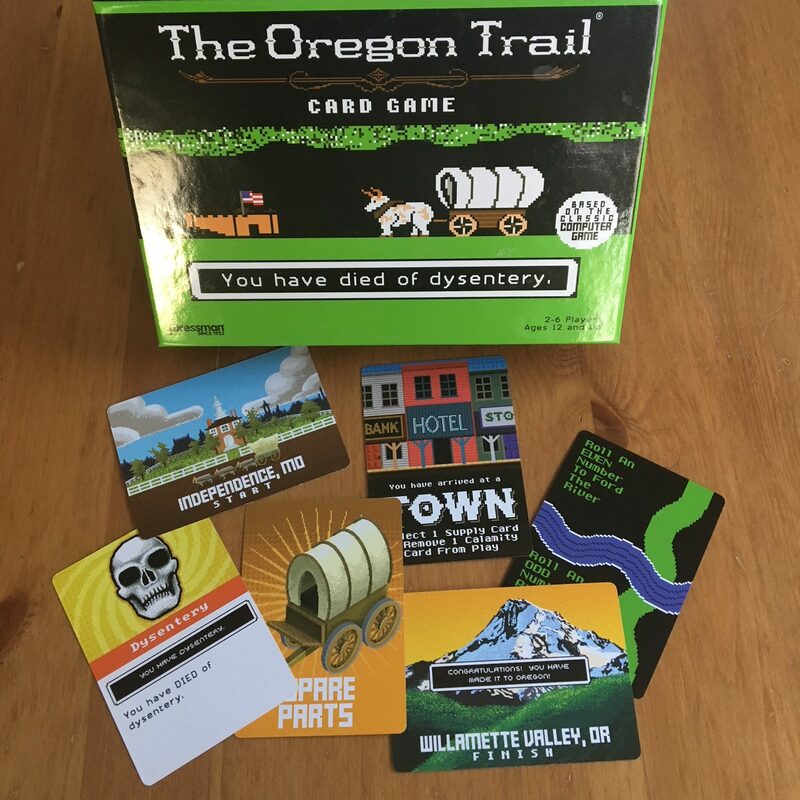 Well, now you can reminisce with this fun little card game version…until you die of dysentery. My son LOVES to play, and the game is quick enough that we can usually get the teenager to sit through a round or two. Although the box says 12 and up, I really think you could play with kids as young as 8 or 9 especially if they know how to read fairly well. This is a very silly monster building game recommended for ages 10 and up that comes in an amazing furry box. 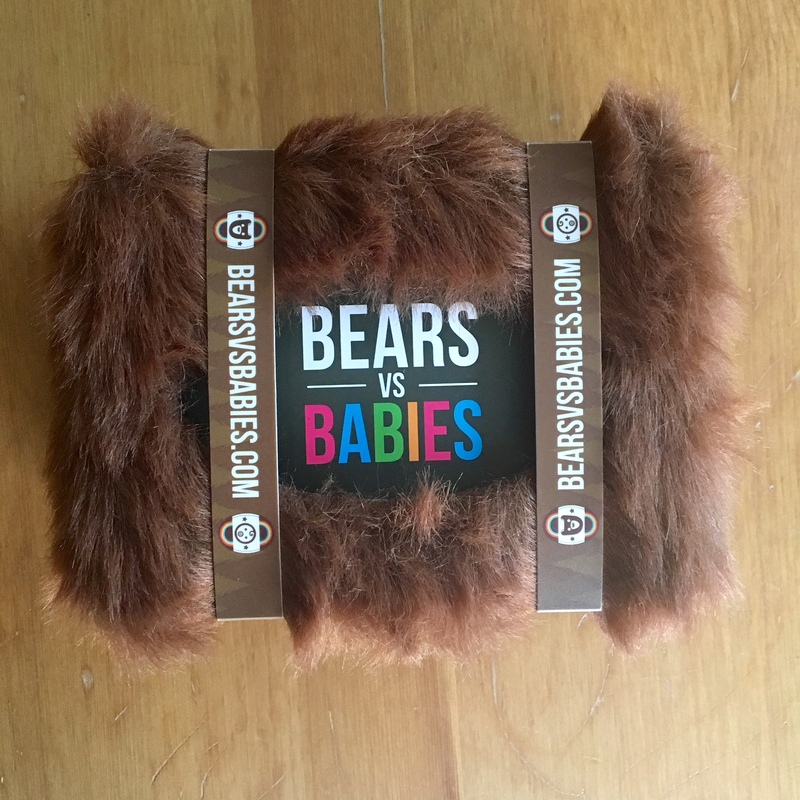 It is worth it to buy Bears vs Babies just for the box (it reminds me of the Monster Book of Monsters.) Gameplay is quick, and there are so many card combinations that the game stays fresh even after multiple rounds. I saw a NSFW version available on Amazon as well, so maybe read carefully when ordering. I am so excited to tell you about the creative scavenger hunt game Use Your Thinkball for a couple of reasons. Number one because I know the creator of the game and number 2 because this is one of the games in the GIVEAWAY!!! 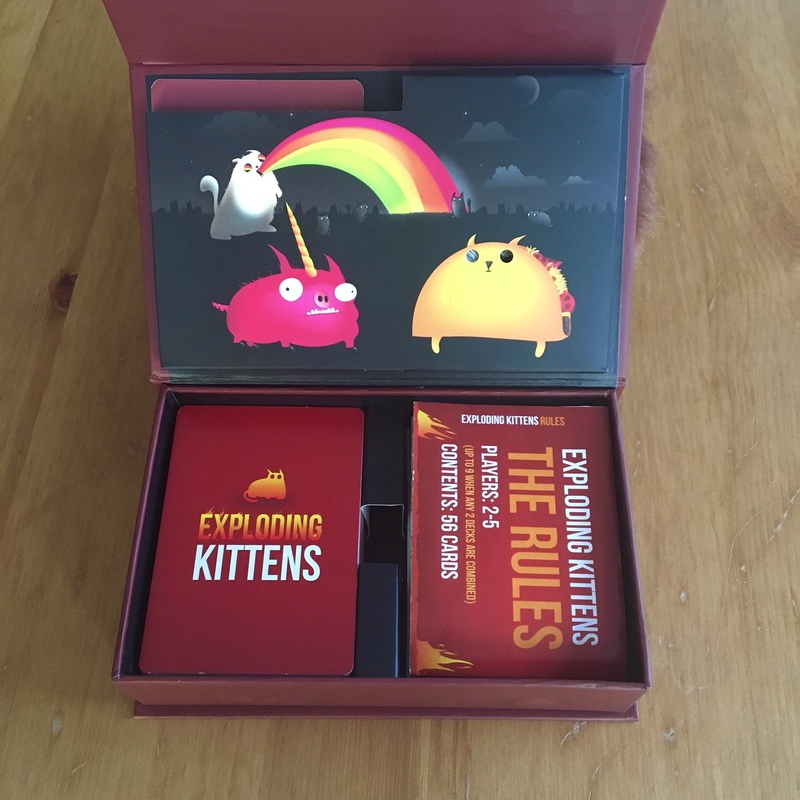 Yep, my super awesome blogging buddy friend created this game herself, had it printed up, and is now selling it on Amazon. What?!? I didn’t even know you could make your own game like that! She is all cool and stuff, so she is letting me give away one of them to you guys! Woohoo!!! Bonus: This is one of those games that can also be played sans kids for a very different experience, that’s like getting two games for the price of one. Okay, I’m gonna be honest: I am full of absolutely worthless knowledge, and I just like to show it off by playing trivia games. Plus, as far as obscure facts go, Harry Potter is my forte. I will gladly stomp my children in a fun HP trivial Pursuit match any day of the week. 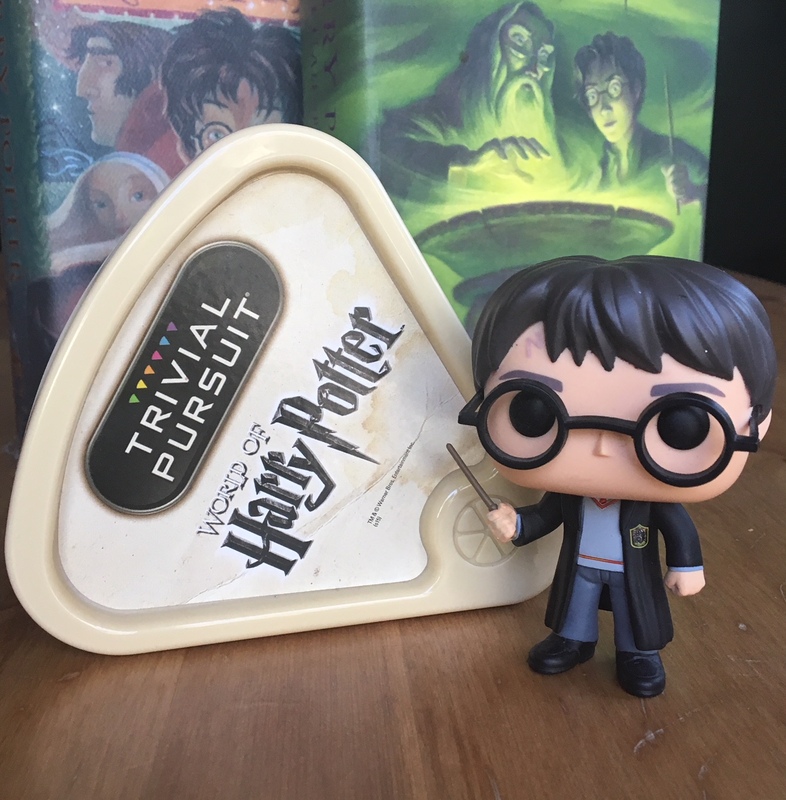 We usually just ask each other the questions as opposed to playing the actual game, but either way, it is tons of fun for all the Potterheads in your life. (fyi: POP figure not included in the game). 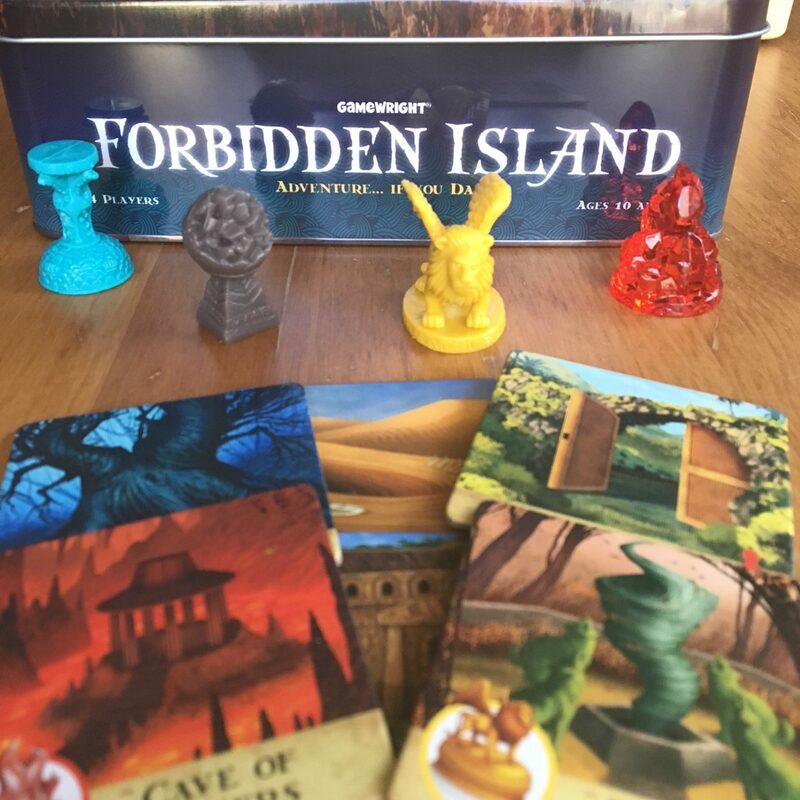 I have played Forbidden Island with my son many, many times, and it is surprisingly fun! He got the game for a birthday or Christmas gift, and I rather reluctantly agreed to play the first time. However, it was a lot more challenging and interesting than I thought it would be. We really like it because you get to work together as opposed to against one another. It says ages 10+ for this one, but we’ve been playing since he was 7ish. Operation is a classic. I had it when I was a kid, my daughter had some version when she was younger, and my son currently owns a Spongebob version. It is just so fun to hear that buzzer go off which makes your opponent jump and drop their piece. Mwahahaha. 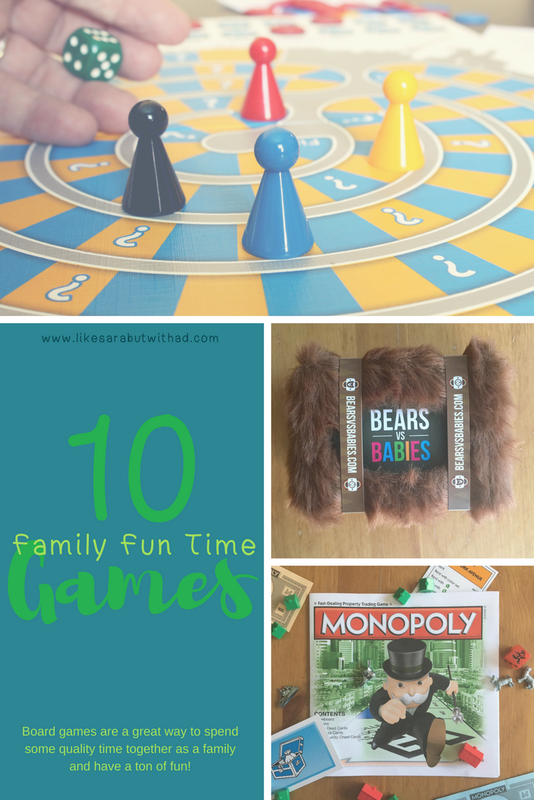 This is a great game for families with a broader range of ages because pretty much everyone can participate. Escape rooms are all the rage, right? BUT did you know that you could have your very own escape room at home? Yep, PD Printables has created fun and challenging digital escape room games that you can download and play right in the comfort of your own home! They come in different difficulty levels which makes it easier to find one to fit your family’s age/skill set, AND I’m super excited to announce that the New Year’s Ball version is the other game in our GIVEAWAY!!! Woohoo! It is suitable for readers as young as 8. My friends over at Adventures of a Super 8 recently tried out one of PD Printables more difficult games, you can see how they fared here! That’s my list folks! Are you ready for the giveaway information now? Enter below for your chance to win a digital copy of the New Year’s Ball escape room game from PD Printables Etsy shop AND a non-digital copy of the Use Your Thinkball scavenger hunt game currently available on Amazon! Do as many of the entry tasks as you can for more chances to win! What is your favorite game to play as a family? We are the game playingest family ever and I am all about that Digital Escape Room and did not know it existed. I will definitely be checking that out!!! 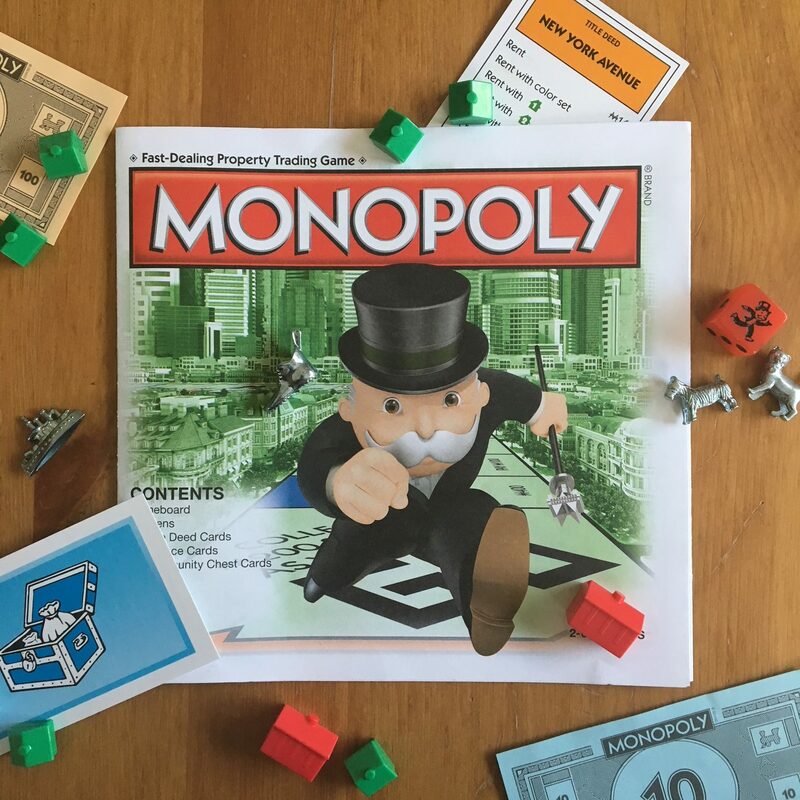 Our family just loves any time of board game…although monopoly is so long it doesn’t keep the little one’s attention until the very end, lol! Oh, how fun! I’ve got to check a few of these out! We love playing an old classic of pictionary (does anyone still play that besides us?!) And we really get into the DVD Trivia games! I like Pictionary! That needs to be our next game purchase for sure.